Experience Alaska sportfishing at its finest aboard a specialized jet boat or raft for a tranquil day of fishing amid some of the most beautiful scenery in the world. On board the vessel, you will be provided the top-of-the-line fishing gear for spin casting or fly-fishing, tackle and a rain jacket. 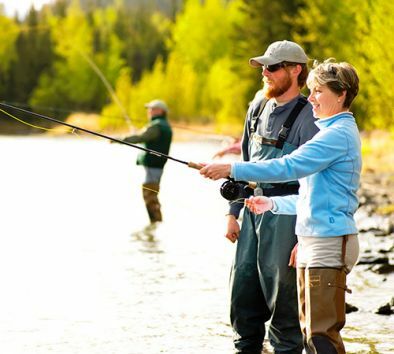 Your knowledgeable crew will show you the popular fishing spots along the wild Talkeetna River. With the grandeur of Denali (formerly Mt. McKinley) hovering in the distance, experienced and novice anglers will have a chance of catching salmon, rainbow trout, grayling, and Dolly Varden (depending on season). Fishing licenses are required for anyone 16 years of age or older. Licenses are available for purchase through your tour guide. Tour operates subject to meeting a minimum number of participants. Tour takes place in Talkeetna. Cook My Catch is available for this excursion, please see the Guest Service desk for more details. Program applies to Salmon only.